Order Summary: This field displays your order information when you click a row in the Market Grid (quantity, price, product, month/year, time in force, order type, and order restriction). When you click a row with an option, this field displays a C for call or a P for put along with the strike price. Confirm: Lets you confirm an order before it is sent to market. Use the Order Entry tab on the Properties menu to enable this feature for every order entry window. For confirmation options, refer to Confirming Your Order. Hold: Marks the order as held in the Orders and Fills Window when you click Buy or Sell. Order remains held until you submit it. 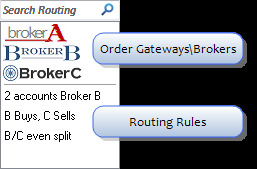 Leave: When trading BrokerTec, prevents new orders for a contract on the same side from canceling previous orders. Stage: Marks the order as a staged order. Click the down arrow to the right to enter execution instructions and select a routing method. Click these buttons to send an order to market. Direct Traders have the ability to enter orders on behalf of customers who's TTORD's are mapped to the Direct Trader's M and G.Click the OBO>> button to display a list of TTOR ID's that have been mapped to your ID. When the OBO>> is clicked a list of available TTORD's that have been mapped to your ID appear. Selecting an OBO allows you to submit an order on behalf of the selected TTORD. See On Behalf Of Orders for additional information. Indicates the order template associated with the customer profile. You can change the associated order template. Note: If an algorithm is selected the Algo Order Pane appears. Warning! Check the effects of the order template on the other Order pane columns before you submit the order. Limit: Works at a specific price. Market: Works the inside market. LTM: Sends Limit orders where any unfilled portion converts to a market order at the close. Indicates Time in Force (TIF) and determines how long your order works in the market. In all cases, your orders work until they trade, you cancel them, or the time in force is met. GTD (Good 'Til Day): Works until the current trading session ends. Enabled by default. GTC (Good 'Til Cancel): Works until the contract expires. Note: TTUS credentials are required to use this TIF. FOK (Fill or Kill): Works to immediately fill the entire order or immediately cancels the entire order. IOC (Immediate or Cancel): Works to immediately fill the order to the extent possible and cancels the balance. 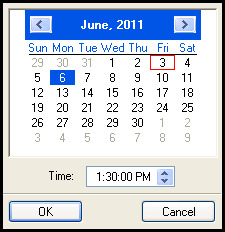 GTDate: Works until the expiration date. On Open: Sends orders that only execute at the open. Any portion not filled at the open cancels. On Close: Sends orders during the closing auction of the current business day. Any portion not filled at the close cancels. On Auction: Sends orders that only execute when a contract goes into an auction state. 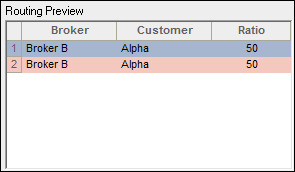 A custom identifier used for order reference within X_TRADER, up to 15 characters in length. This field is not passed to the exchange. Sets a limited number of ticks you are willing to pay to fill a Market order. Sets an order qualifier type. Each qualifier reveals associated fields you need to fill out to complete your order. None: No additional restrictions on the order. Stop: Stop orders let you set the price that triggers the order. Stop orders can be Limit or Market orders. X_TRADER supports Stop orders on all exchanges. A stop order displays in the Order Book with a Pending Trigger status, indicating it is not actually in the market. When the stop triggers, the order becomes the native order type and remains in the Order Book until it fills. Trailing Stop: Trailing Stop orders set the trigger price a fixed distance from the market price. The trigger price dynamically adjusts relative to the market. Trailing Stop triggers are typically set worse than the market. Trailing If Touched: Similar to Trailing Stops, but Trailing If Touched triggers are typically set better than the current market. Trailing Limit: Trailing Limit orders submit directly to the exchange priced a fixed distance from the market; this differs from Trailing Stop and Trailing If Touched orders which are sent only when triggered. The Trailing Limit order re-prices relative to the market. Trailing prices are always set better than the current market. Block: Eurex and SFE Block Trades. Block trades are high-volume trades whose price has been separately agreed to by both parties outside of the normal exchange trading methods. When you select Block from the Order Type field, the Counterparty Information field automatically displays. Cross: Cross orders can be sent on Eurex, BVMF, and Liffe. You must enable order crossing from the Order Entry tab on the Properties menu to place these orders. Machine Gun: Machine Gun (or Retry) orders are commonly used to obtain a favorable position in the queue prior to the market open. The parent order contains the number of times the Synthetic strategy Engine retries to send the order once rejected and the interval between each resubmission attempt. Vola: A Vola trade is an over-the-counter trade separately agreed to by both parties and approved by Eurex. This trade requires you to perform an options trade and hedge it with a futures trade. The price at which the parent Stop or If Touched order is triggered. A toggle button to set a secondary trigger condition as a quantity (Qty) or percentage (%) required at the trigger price for a Stop or If Touched order. The number of ticks from the Price Type the parent order should trail the market (trailing orders only). Notes: Each exchange determines their support of order restrictions. The definition and use of the restriction may differ between exchanges and marketplaces. Refer to each exchange's market rules for additional information. For the additional fields required for a particular order qualifier (e.g., Cross Orders), refer to the Order Types topic. Relative: A dynamic price that is determined by the market. Refer to Price Mode for more details. Sets the price of the child order relative to LTP, Bid, Ask, or Trigger (the parent order Trigger price from the Modifier section). Two additional pricing parameters are available: Same Side and Opposite Side. Price Type (Relative only): The type of price used to enter the child order into the market. Offset (Relative only): The number of ticks added to or subtracted from the trigger price. Positive offsets are applied away from the market. Negative offsets are applied into the market. When the With a Tick (WAT) option is enabled, the Synthetic SE monitors the opposite inside market of an order and converts a passive order to an aggressive order when the specified threshold is met. The threshold may be set as a quantity or percentage. Displays the Advanced Settings dialog box. Sets slicer orders. Slicer orders execute a large order by splitting the order into smaller disclosed quantity orders. Each slicer type reveals unique fields you need to fill out to complete your order. Iceberg: Iceberg orders wait until one disclosed quantity order is filled to send the next disclosed quantity order until the entire order quantity fills. Time Sliced: Time sliced orders send disclosed quantity orders to the market at fixed time intervals. The resting portion might not be filled before it is time to disclose the next portion. Volume Sliced: Volume sliced orders send disclosed quantity orders based on trading volume. The resting portion may not be filled before there is enough trading volume to submit the next portion. Time Duration: Defines the total time desired to achieve the total goal quantity. Volume Duration: Defines the total amount of traded volume desired to achieve the total goal quantity. Note: Reload orders can be placed from the Advanced Settings section when an Autospreader order is selected in the Market Grid. 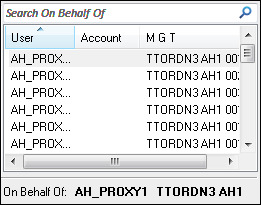 Refer to Using Reload Orders for more information on using this order type. Sets how the sliced order will split the order up. A preview of the proposed order displays in the preview grid based on the parameters entered. Each sliced order type has different parameters available. Note: X_TRADER automatically corrects parameter fields that contain invalid values. The corrected value displays with a yellow background. Sets how to handle the resting order when it is time to send the next portion of a slicer order. Preview of the proposed child orders. Note: X_TRADER automatically corrects parameter fields that contain invalid values. When this occurs, the child orders are recalculated and display with a yellow background. Recalculates the order preview when order parameters have been changed. A warning message displays at the bottom of the Advanced Settings pane when it contains an invalid parameter. The message identifies the parameter that triggered the warning (User value) and the new X_TRADER adjusted quantity (Applied value). Note: When the preview pane is closed, the invalid parameter is followed by the X_TRADER adjusted quantity with the invalid value in parenthesis. Sets when an order is submitted and how long it is active. At: Sets when the order is submitted. Until: Sets how long the order is active. Sets the date and time when an order is submitted and how long it is active. Leave: Remaining quantity is left in the market. Pin: Available only in floating order entry mode, operates the Order Pane as an independent order form with seeded contract. Open: The order is opening a position. Close: The order is closing a position. U1: Unallocated. For orders that have not been allocated to a customer account or where allocation is a middle/back office function. Indicates the clearing member code you set up in the Customer Defaults window. Used for Give-up trade accounts only. 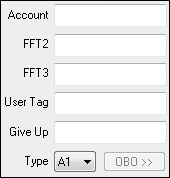 When you select your customer, this field seeds with the FFT3 field set up on the Customer Defaults window.